It’s a lovely location with a generous stage area and the live band was kickin! Ever since Air Jamaica died a painful death and we were left without a national airline, Jamaicans have been holding out hope for a carrier to fly our flag high again. Caribbean Airlines filled the void as a regional carrier but many of us were all so happy when Fly Jamaica was born. 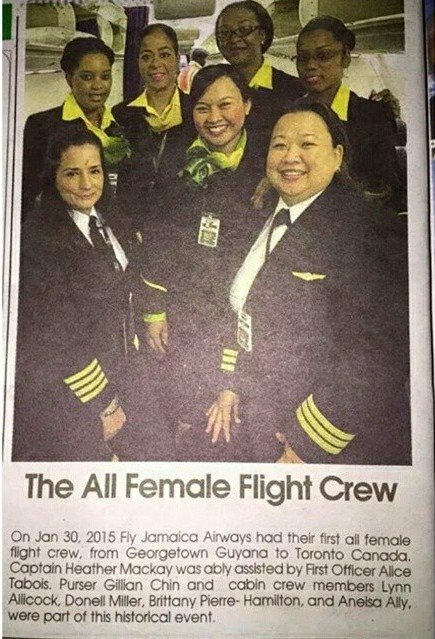 This new airline boasted Jamaican owners and staff, some of whom worked with Air Jamaica, including female pilots! Did you know we had Jamaican born and bred female pilots who work with our national carrier and three of them at that? 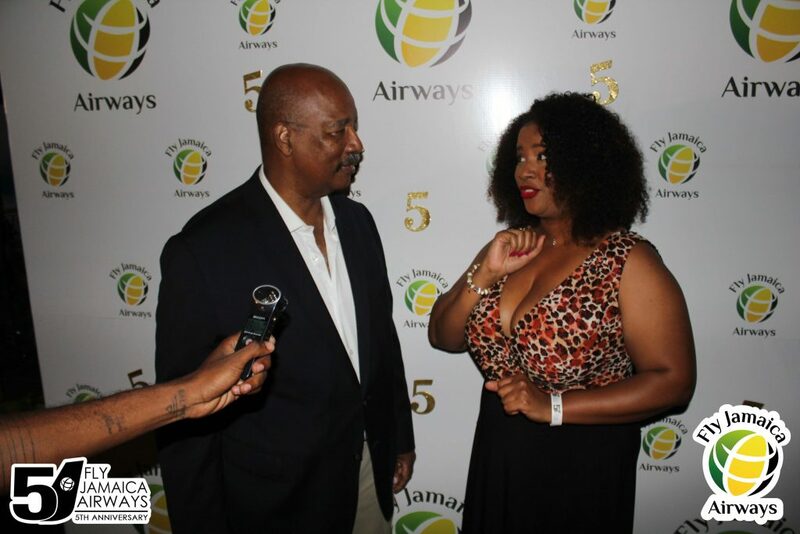 The airline currently has flights to Jamaica from New York, Toronto and Guyana. They have certainly had their fair share of startup challenges but now five years in, they’re excited to grow the airline’s routes and solidify their service. I was the life of the party, as usual. It was in this interview that I learned of the 3 female pilots and I just had to meet and chat with them! 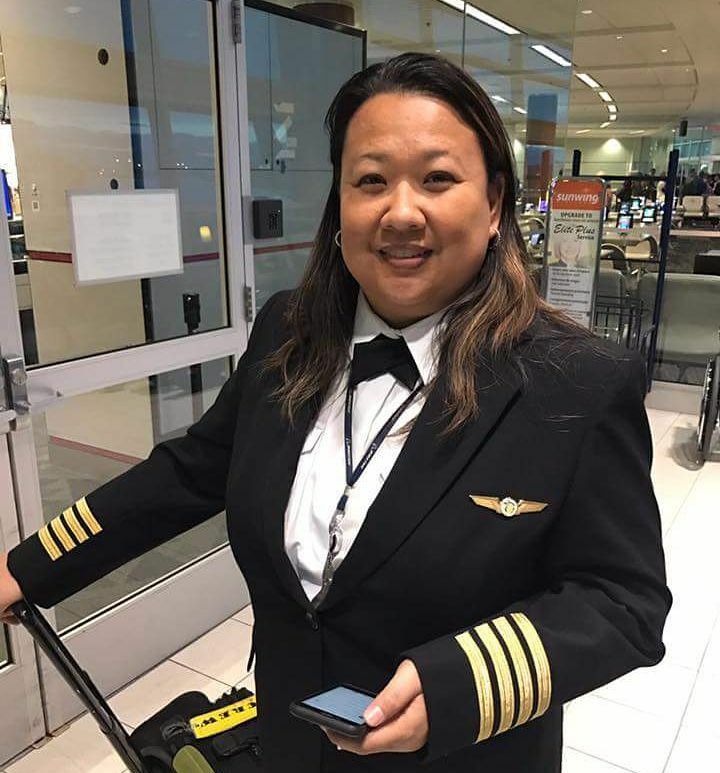 Of course, it can be difficult to catch an airline pilot for an interview but luckily enough I caught up with one who told me what it was like to be a female in such a male-dominated industry. Capt: It’s exciting! It’s challenging and I like travelling. Me: What’s been some of the most harrowing stories you’ve experienced as a pilot? Capt: For commercial flying, it’s actually dealing with the passengers as a pilot! Me: What is it like being in such a male-dominated industry? Capt: Actually we don’t have that problem thankfully. It’s the actual working with people and getting the respect [that was a challenge] which I find working here at Fly Jamaica has been great. 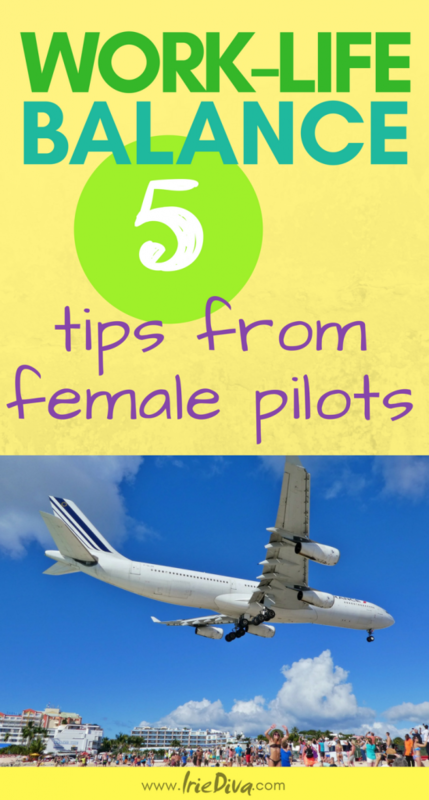 Me: Do you have any advice for women who might be considering a career as a pilot? Capt: You have to be dedicated, it’s not an easy field, it can be very frustrating and it takes years to get into the airline industry. You’ll probably have to start teaching first and doing small odd jobs, flying smaller planes. It’s not easy to get into an airline company especially here in Jamaica with our large national career gone and general aviation here declining, it’s so much harder to get into an airline. Back then it was very linear, you went to aviation school then Air Jamaica Express and then Air Jamaica, so you always had feeder organisations to work up the chain, now it’s way harder. As you can imagine, it might be a little difficult to juggle family and work, what with being out of the country as often as an airline pilot. Isn’t it interesting that men rarely have to think about these things when building their careers but it’s always at the forefront of our minds as women? It can sometimes feel like a downright choice, do we want a successful career or a family? Disconnect often – when you’re at home, focus on home and leave the work emails and calls to a minimum. Work efficiently – remember those days when you did long days to impress the boss with your commitment? A good boss will appreciate you more if you’re able to do good work in office hours and will praise you going home to be with your family after a productive day’s work. Done is better than perfect – this goes for home and work. Celebrate getting dinner on the table and a few hours connecting with the kids in a messy living room over having a sparkling home that leaves you exhausted with not much energy left for playtime. At the same time, get projects at work done in a fair time period without worrying about bells and whistles. Solid, complete work is appreciated consistently with occasional figure-eights and whooptidoos being a cause for champagne and raises. You are not an island – the quicker you are able to accept this and ask for and accept help with ease and grace, the quicker you will find solace in your work and home environment. Become a delegating master, focusing on the tasks that you’re good at and love to do yourself and outsourcing those things you’d rather not deal with. Do you – work-life balance is whatever you make it. What works for one, does poorly for another. If you truly enjoy your work then you may not feel the need for a 50-50 balance and may maximise on family life in completely different ways than the woman who enjoys working from home to spend most of her time with her kids. No one way is better than the next, do you. 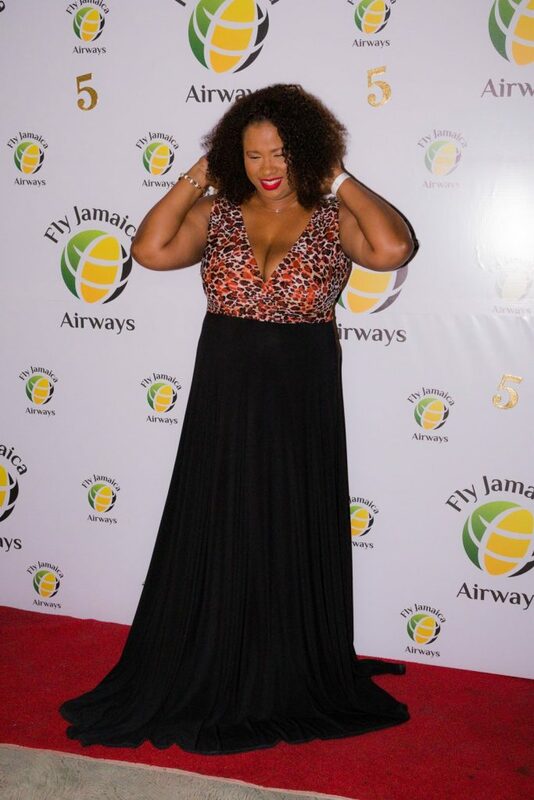 One of the biggest perks of flying with the Fly Jamaica team is their baggage allowance. Imagine catching a flight to Jamaica from Toronto or New York and being able to travel with two bags checked plus your carry on. In an industry that has long moved away from these kinds of benefits in order to save costs, it’s certainly awesome for me when I travel to be able to haul all my goodies back home with me! Another perk I truly love with Fly Jamaica is the option of sending unaccompanied minors. 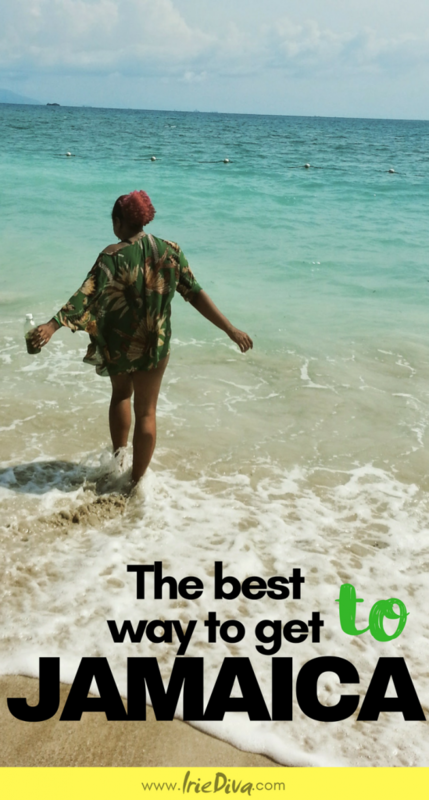 I travelled as a minor on Air Jamaica back in the day all by my lonesome and I have to tell you that I would be apprehensive to trust my little one with any other airline. 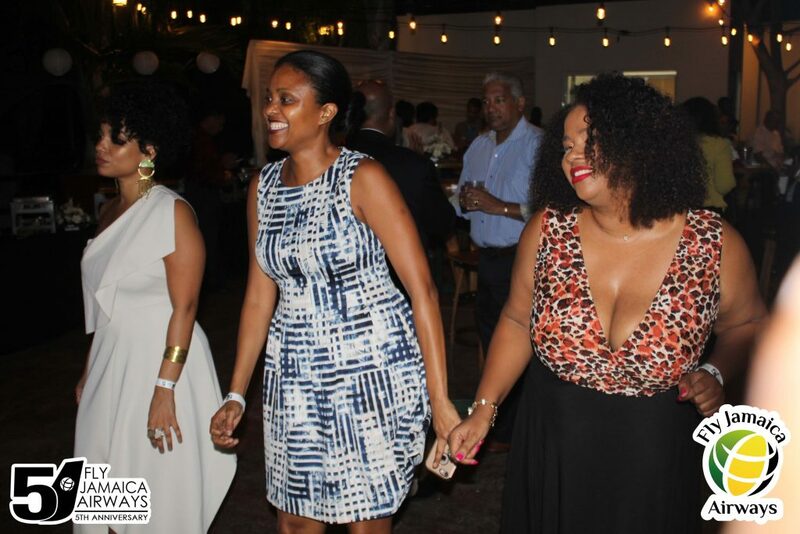 Jamaicans are known for our warmth and general caring nature and knowing that she’s with my fellow people is something that reassuring to me. As reassuring as sending your child alone on a plane can be anyway. Finally, I love the straight flight options from Kingston. I have definitely travelled to Montego Bay to catch cheaper flights before however this isn’t always an economic option when you figure in gas, toll and travel times. I love that I can hop on a plane in Kingston and get straight to my destination without added stops and layovers. 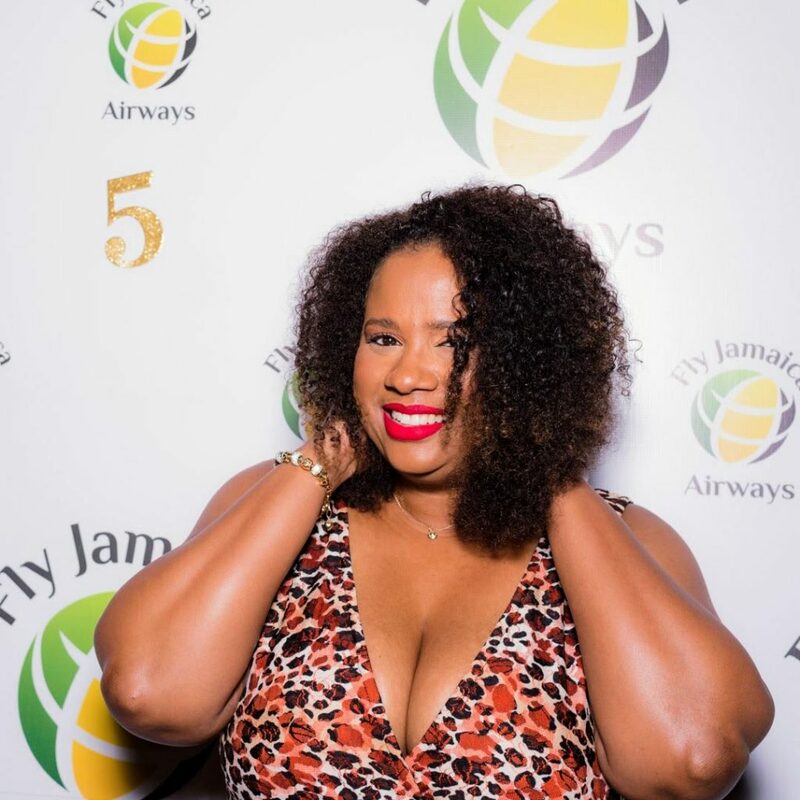 Did you know that Fly Jamaica boasted female pilots? Are you gonna hop on a flight with them anytime soon? Thanks so much to Kerry-Kay’s Boutique for my beautiful dress for the evening. I’ve always wondered why isn’t Fly Jamaica better appreciated. And Cpt. Tabois’ advice is so true. It’s been ingrained in us from early to always choose family over career while men aren’t raised the same unfortunately. 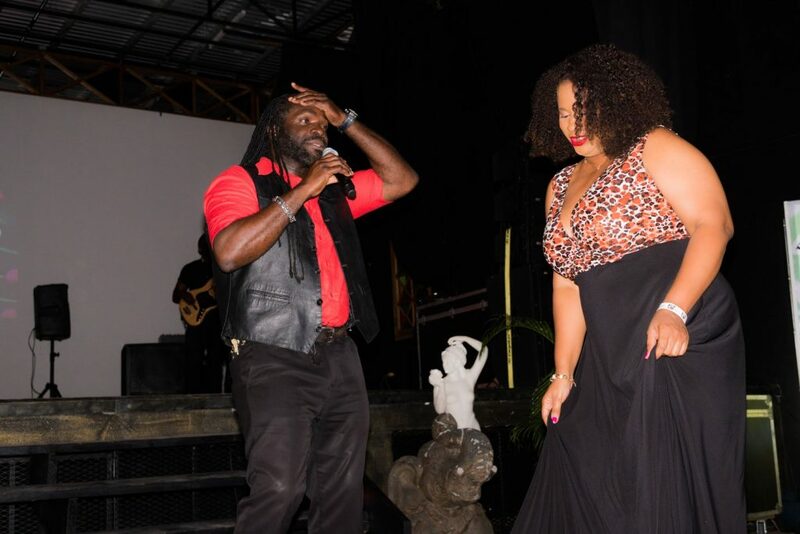 IrieDiva…you looked stunning! Great interviews.